Your automatic transmission relies on a steady supply of transmission fluid in order to operate smoothly and efficiently. Since many different transmission problems can be caused by low or leaky transmission fluid, it is important to schedule transmission fluid change procedures at regular intervals. During a transmission fluid change at your local transmission shop in Rockville, your technician will typically inspect the condition of your transmission pan. To help you keep your transmission in peak running condition, here is a look at what you need to know about automatic transmission pans. Automatic transmission pans play a vital role in the overall function of a car’s transmission system. 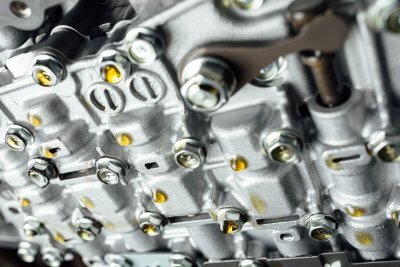 The primary job of the transmission pan is to house all of the transmission fluid that is needed to power the vehicle. Along with providing storage for transmission fluid, transmission pans are also responsible for protecting the transmission fluid from foreign contaminants and ensuring that the fluid is properly cooled before it is sent through the system. Your car’s automatic transmission pan is not designed to hold its full capacity of transmission fluid. Instead, the pan will have enough space to contain up to half of a car’s total transmission fluid. The other portion of the transmission fluid should always remain in your transmission system and torque converter. If your transmission pan is completely empty, you may be experiencing a transmission fluid leak. There are a few common transmission repair issues that can be linked to a faulty or improperly maintained transmission pan. If you drive over rough or bumpy terrain, your transmission pan could get knocked or pierced by road debris. In the event that your pan moves out of position, it could cause a significant transmission fluid leak. To fix your transmission pan issues and restore your vehicle to safe driving condition, you should always bring your car to a certified transmission center for repairs. By learning about the different parts of your automatic transmission, you can avoid some common transmission problems. In this video from Engineering Explained, you will receive some advice on what not to do when you are driving an automatic transmission vehicle. For example, when you are driving down a hill, you should avoid shifting your car into neutral. A transmission shop in Silver Spring can provide you with more essential transmission care tips. If you have started to notice a transmission problem in your vehicle, do not hesitate to make an appointment at your transmission repair shop . 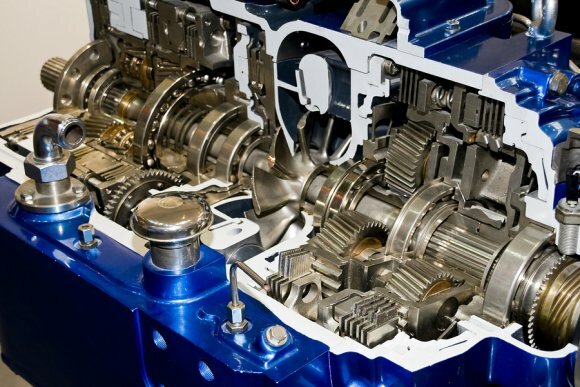 A team of transmission rebuild specialists can help you make sure that your transmission is running smoothly, and they can also help you avoid accidentally damaging your transmission while you drive. When your car is experiencing transmission problems, it can be helpful to know about how your transmission works. In a car with an automatic transmission, there are many sophisticated components that are used to transfer power from the engine to the wheels. Among the most essential systems in any automatic transmission are the planetary gearsets. As your car transitions between speeds, the planetary gearsets are designed to help your transmission find just the right gear. Your planetary gearsets get their name due to their unique design, which mimics the solar system. Each planetary gearset has a main gear that is orbited by several secondary gears. Since many transmission problems originate in the planetary gearset, it is important to bring your vehicle to a transmission specialist at the first sign of an issue. From transmission replacement to basic repairs, your transmission shop near Silver Spring, Bethesda, and Rockville can provide you with a full range of services. Any automatic transmission service in the D.C. metro area will tell you how important the torque converter is for your automatic vehicle’s transmission. This converter replaces the clutch used in a manual transmission and allows the engine to effectively communicate with the wheels. Keep reading to learn about the torque converter and the role it plays in your automatic vehicle. The torque converter affects the amount of torque that is transferred from the engine to the wheels at any given time; a functioning torque converter allows you to keep the car still while idling by resting your foot on the brake pedal. When you are stepping on the gas, however, a greater amount of torque is being sent from the engine to the wheels, so stopping the car requires a greater exertion of force on the brake pedal. Transmission issues that stem from the torque converter may affect your fuel economy as well as cause overheating and transmission slipping. These issues can be very problematic and may warrant a visit to the transmission repair shop. Your vehicle’s torque converter is responsible for transferring the proper amount of torque to the wheels from the engine. Any transmission repairs that are needed should be done at a transmission shop.